For an experience of sound that goes into your ear and under the skin. 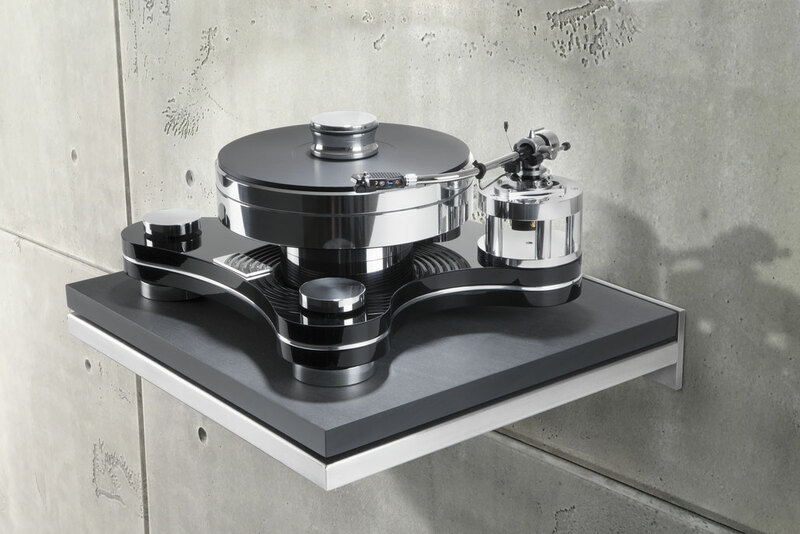 Vinyl on the turntable is a sensitive passion, nothing disturbs the enthusiasm for music more than an impaired sound. Every vibration, however delicate is annoying, unless the fundament is right. HighStandArt delivers it: with the STOIC-Wallmount and the STOIC-Base. Every STOIC combines all the features it needs for a perfect music reproduction. It decouples Hi-Fi devices completely and securely from vibrating floors, furniture or HiFi-racks and thereby from annoying vibrations and ressonances. For all HiFi-components. Be it analogue or digital. The metal frame filled with sand, kills vibrations by its enormous mass, as well as the use of low-resonance materials such as natural slate or plywood. A hard, unsprung coupling between the frame and the support ensures that no swinging is produced. And last but not least, STOIC showcases valuable devices in an equally valuable way: high-quality workmanship of classical, timeless beauty. Handcrafted in Germany. In short: Hi-Fi components are just as good as their setup. Each background affects the sound staging. And just as music needs the silence as the basis, good sound needs a stoic calm. Ideal sound needs a STOIC.